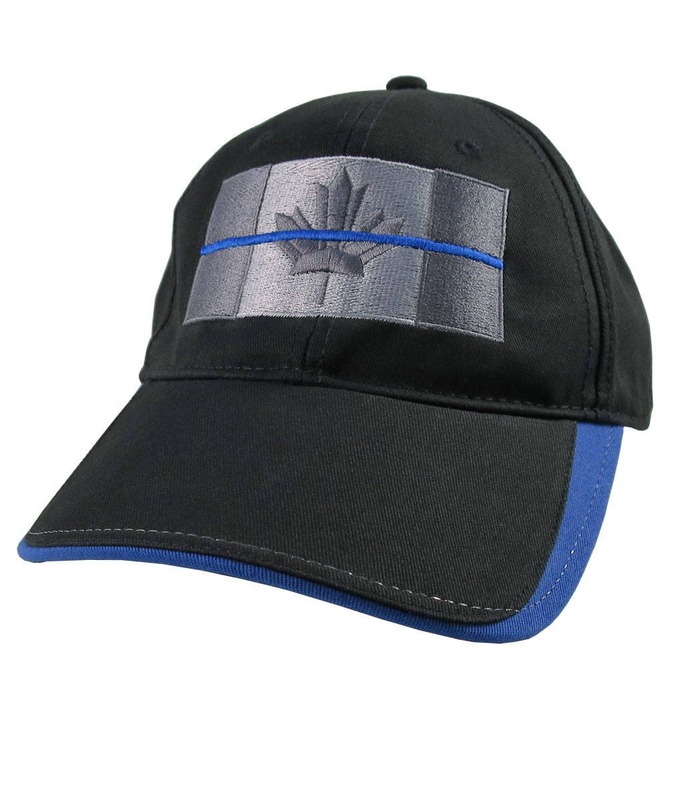 “A Canadian Blue Line”; a symbolic graphic that visually conveys a lot. 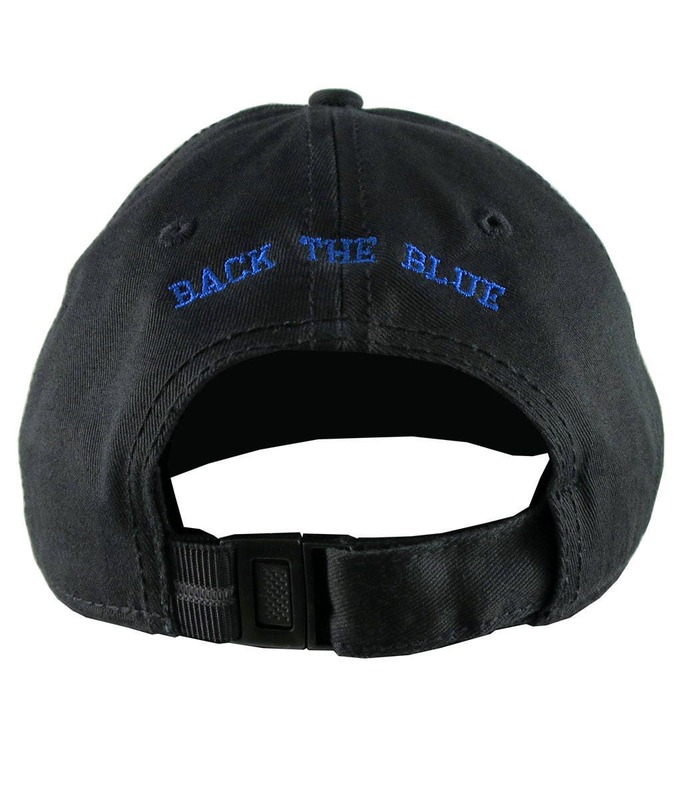 The back of the cap has the inscription "Back The Blue". 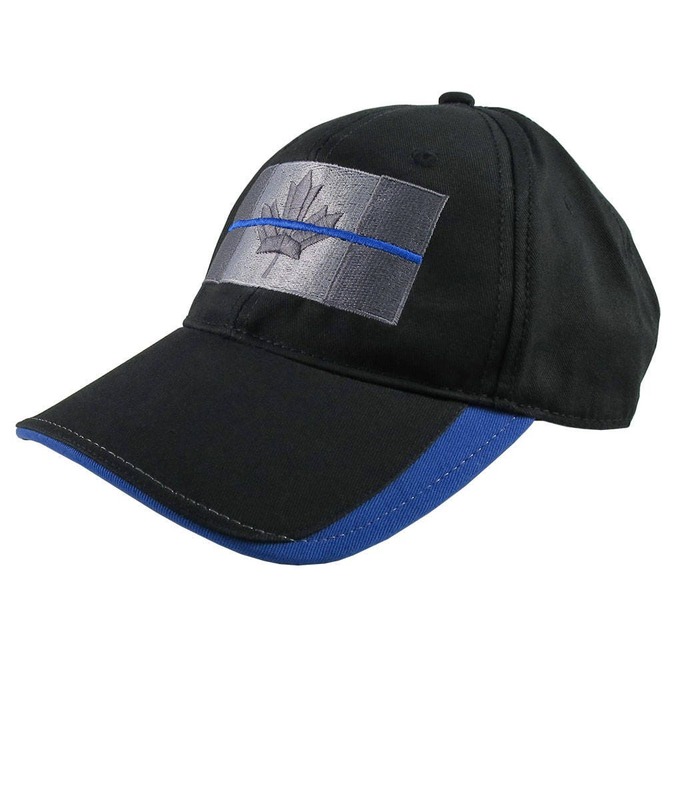 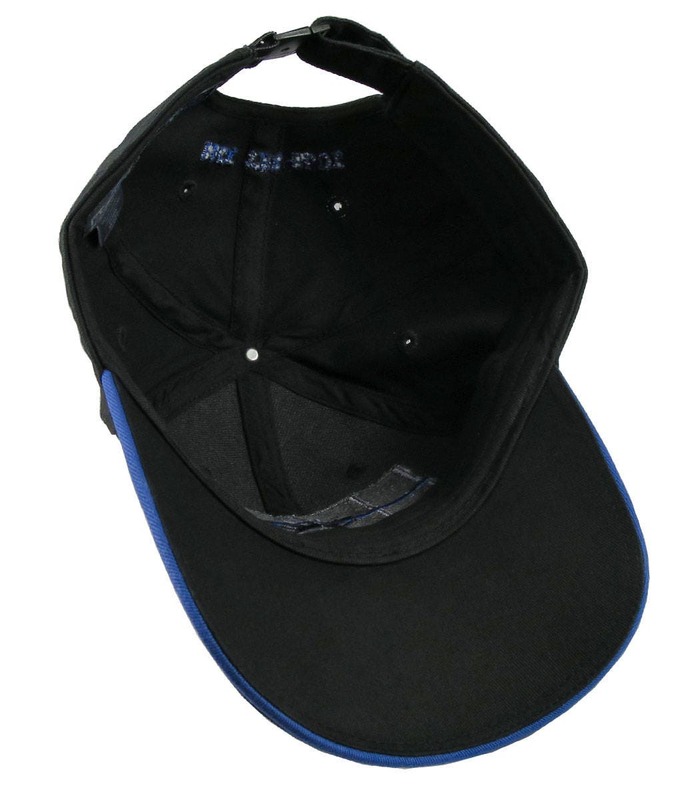 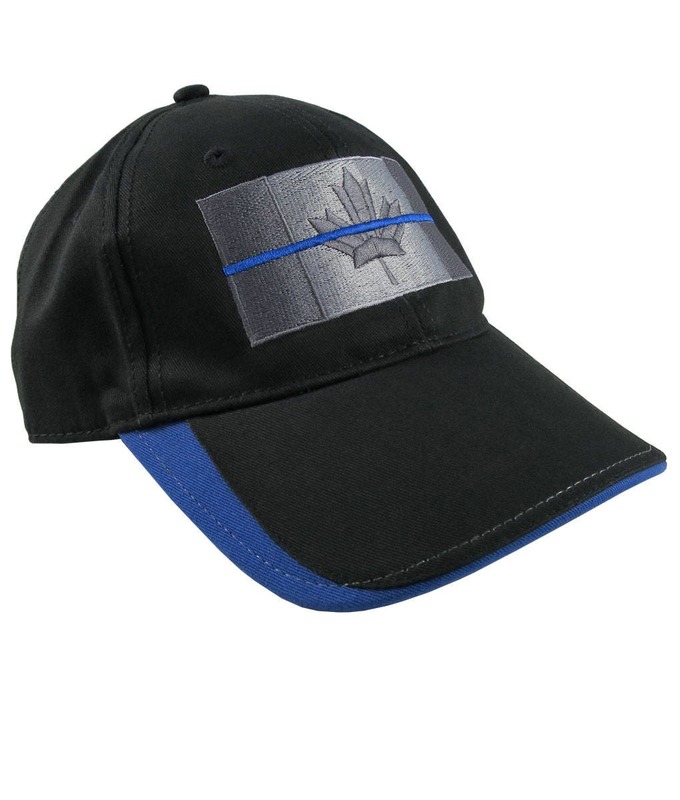 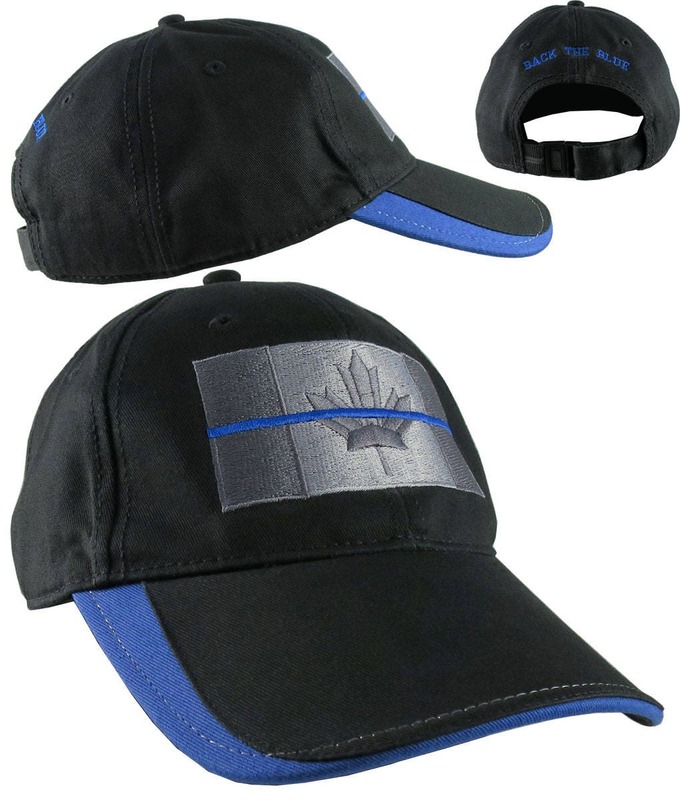 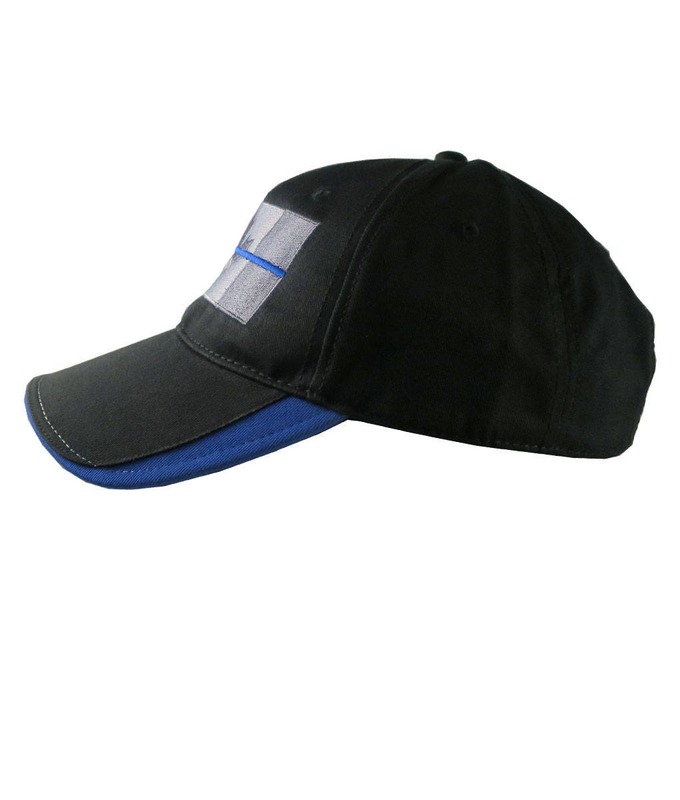 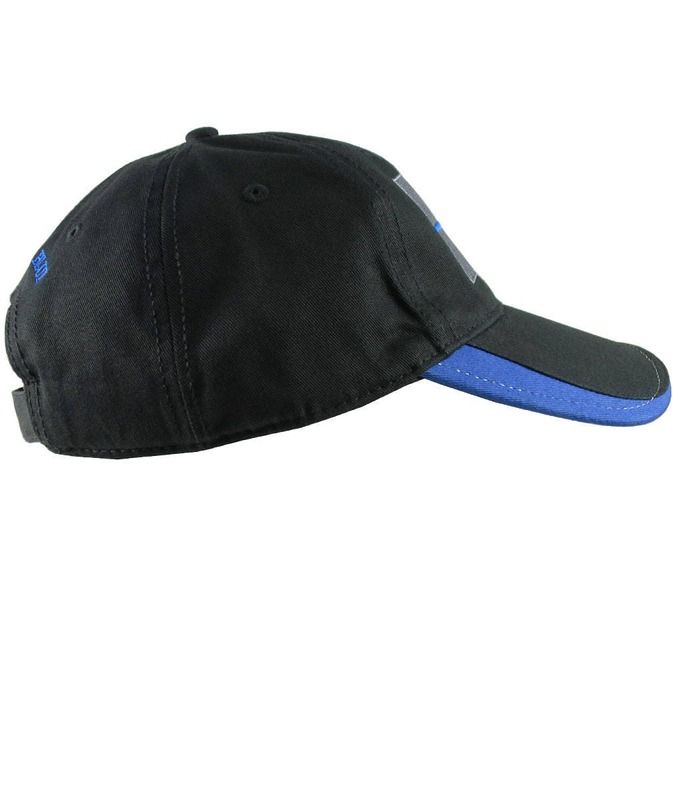 The embroidery work is silver, charcoal, and royal blue and is offered a stylish black cotton chino twill adjustable structured baseball cap trimmed in royal blue accents. 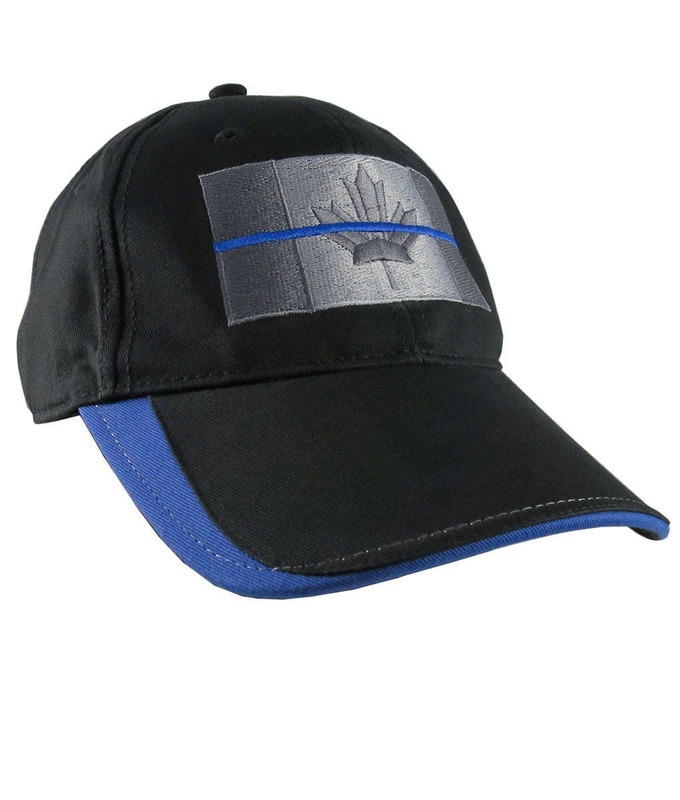 “A Canadian Blue Line”; The Thin Blue Line is a symbol used by law enforcement, originating in the UK but now prevalent in the US and Canada to commemorate fallen and to show support for the living law enforcement officers and to symbolize the relationship of law enforcement in the community as the protectors of fellow civilians from criminal elements. 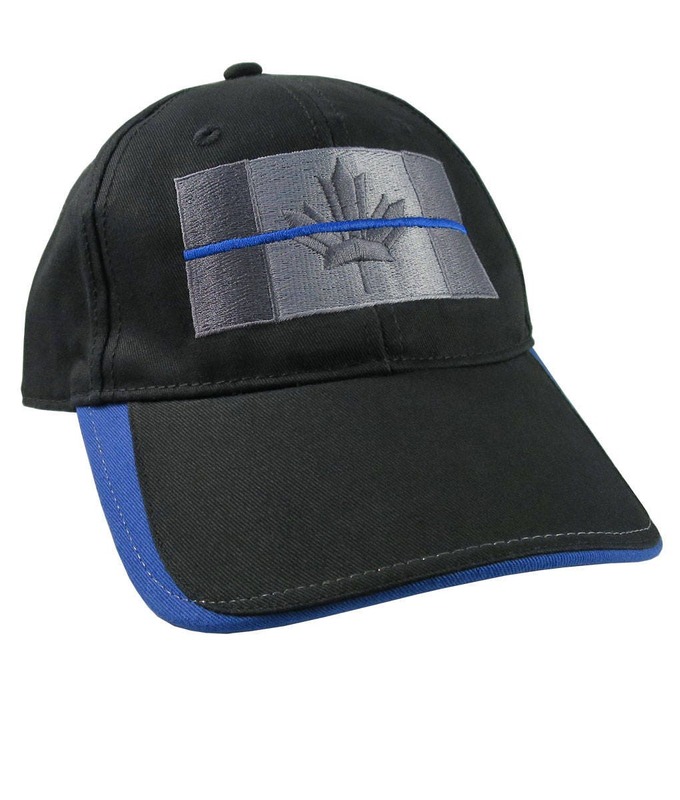 “A Canadian Blue Line” is the blue line symbol on a black Canadian flag.